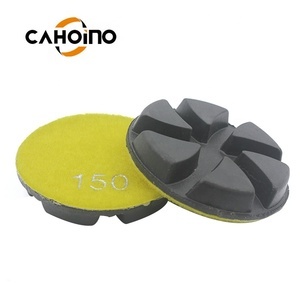 Xiamen Caho Tools Technology Co., Ltd.
Henan Aurora Abrasive Tool Co., Ltd.
, LTD is located in Pingdingshan City, an international metropolis with rich resources, convenient transportation and long history. We always carry through the cooperation principles "customer first, honesty, quality assurance, creating the brilliancy together". We have more than 20 senior technical workers, more than 50 skilled workers and more than 30 administrators. 2) hook and loop backing allows for fast pad changes. 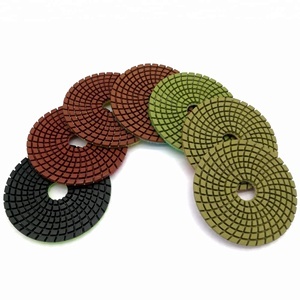 3) Pad backs are color-coded for easy grit size identification. 7) We can offer our clients good after-sale service and professional technical assistance. 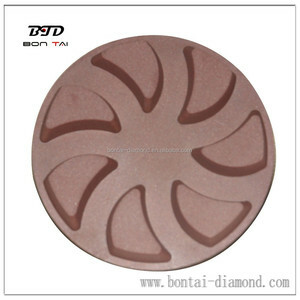 Ltd is a leading diamond tools manufacturer and exporter in China more than 10 years. 1.Urgent order with with small size and weight, we recommend express courier service. We give the advice according to actual situation and the customers make the decision. 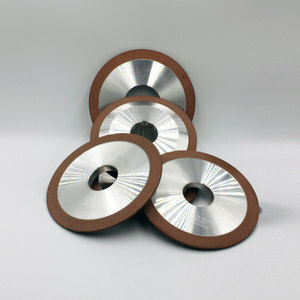 Midstar Floor Diamond Pads for Concrete Grinding Specification: 1.Grinding Plated Size: 3''/75mm 2. 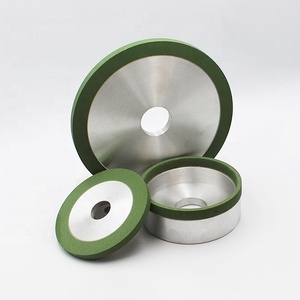 Grinding Plated shape: Trapezoid , Magnetic plate, HTC, Laine, Edco 3. Diamond Segmenet size: rectangle, rounded, Rhombus, Oval, Arrow, Triangle, etc 4.Grit:16#,18/20#,30/40#,60/80#,120/150#, 200#. 5.Soft bond segment for hard concrete, Medium bond for medium concrete, Hard Bond for soft concrete 6. 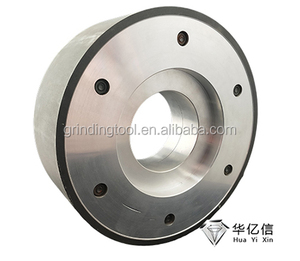 Used on a lot of floor grinders like HTC, Lavine Grinder, Edco Grinder, Klindex etc. 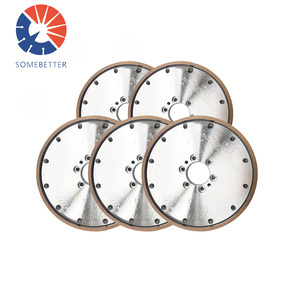 7.Renovate your floor more clear 8. Weld method: Silver Welded. Full Sequence Exhibition Advantages Related Products About Us Quanzhou Jinshan Stone Tools Technology Limited Co. LTD Established in 1987, Quanzhou Jinshan Stone Tools Technology Limited Co. Today Jinshan aims to build an international brand and become one of the leading manufacturers of stone tools in the world. 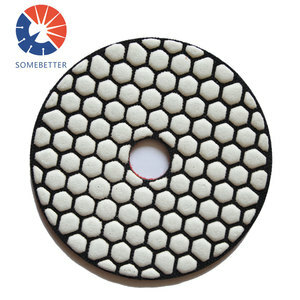 They are designed for floor polishing machines to polish or restore or maintain for the floor of marble, concrete, terrazzo, granite. 4 Can I be your agent in our country 9 Yeah, please tell us your information and we will discuss more details about our cooperation. Our products are exported to many different countries, our main market are Asia ,Europe ,Middle &ndash;east , Africa and so on . Alibaba.com offers 154 cheap resin bond diamond products. About 37% of these are abrasive tools, 12% are abrasives, and 1% are saw blade. 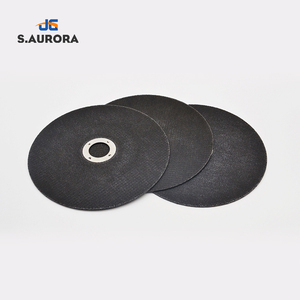 A wide variety of cheap resin bond diamond options are available to you, such as abrasive disc, sanding paper, and abrasive pad. You can also choose from free samples. There are 154 cheap resin bond diamond suppliers, mainly located in Asia. The top supplying country is China (Mainland), which supply 100% of cheap resin bond diamond respectively. Cheap resin bond diamond products are most popular in Domestic Market, Southeast Asia, and Western Europe. You can ensure product safety by selecting from certified suppliers, including 34 with ISO9001, 10 with Other certification.